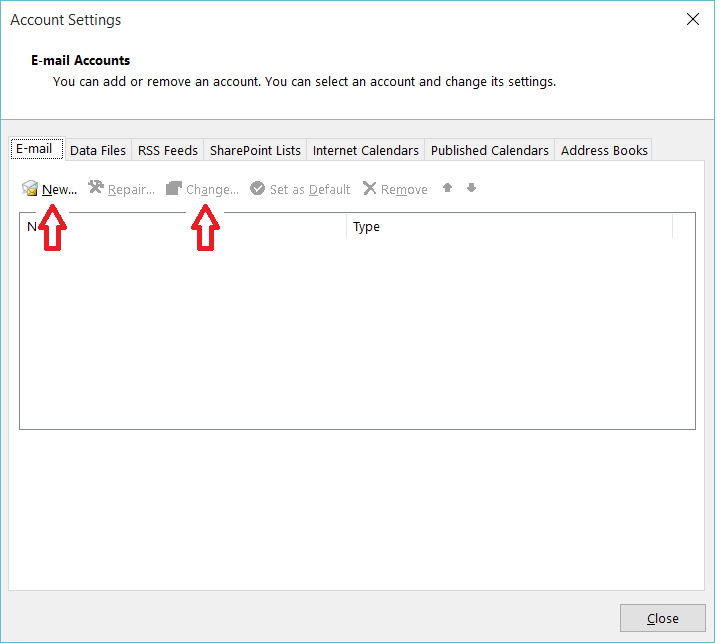 After creating your email account from the /siteadmin area, you can proceed through the steps below to set up the account in your Outlook email software. 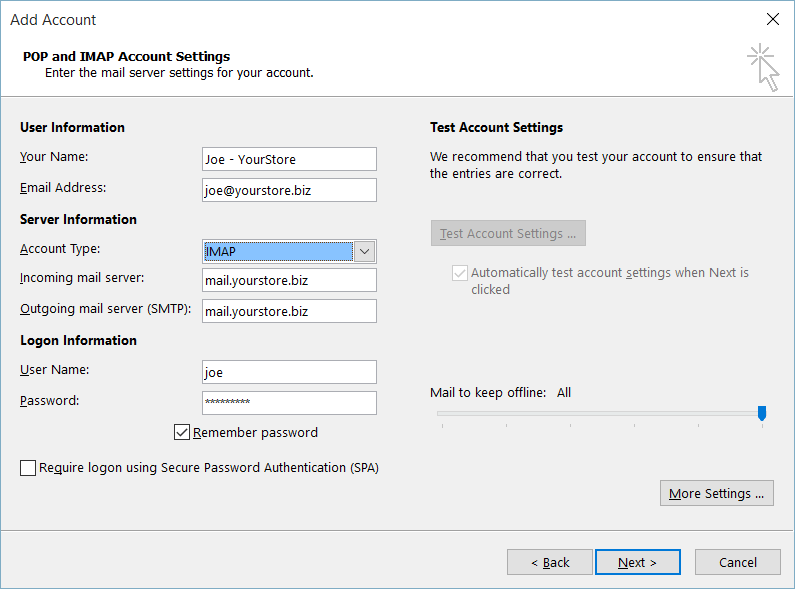 The steps below will show you how to set up an IMAP account; this is generally your best choice if you will be using multiple devices to check the same account. 3. After clicking on “New”, you will see the screen below. Fill in your name, and your email address as you would like your customers to see it. 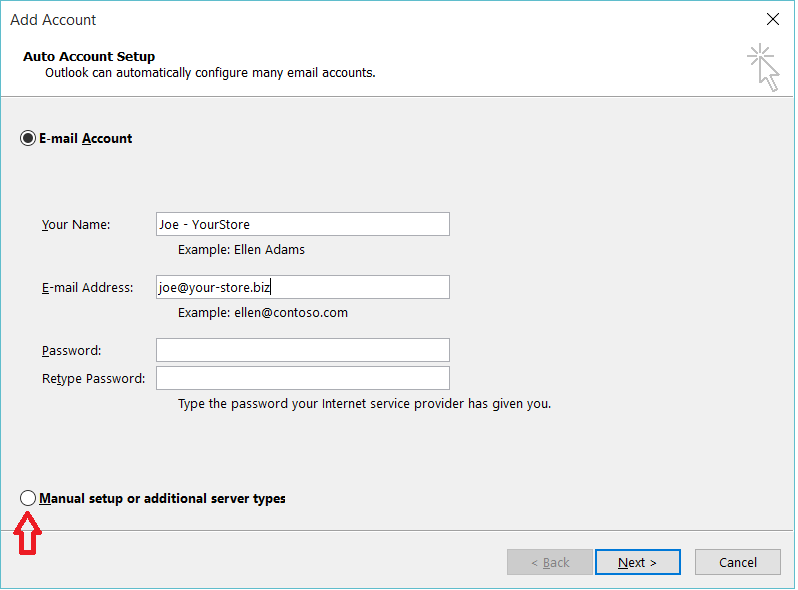 Then select “Manual Setup” and the “Next” button; this will be the easiest way to get all the email settings right. 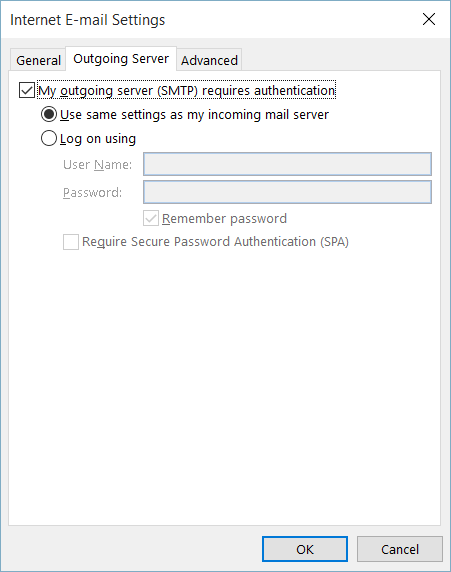 c. Optionally, you can also use the server name in the incoming and outgoing mail sever fields; the benefit of this is that it will match the SSL/TLS certificate name, so you will not get a security warning that the “Certificates do not match…” To see the server name of the server hosting your site, type in, for example, www.your-store.biz/admin (using your actual domain name) and see what it redirects to. Our example domain redirects to https://server105.secure-access.net:81/login.php The bold section of the url server105.secure-access.net is what you would use as the server name. d. Set the username to just all lower case ‘joe” not “joe@your-store.biz”. 5. 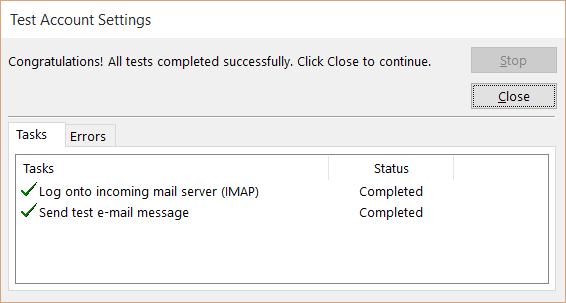 On the “More Settings” screen below, first click the “Outgoing Server” tab, and select “My Server Requires” authentication, and the default “Use same settings as my incoming mail server”. (Do not select SPA). Then click the “Advanced Tab on that screen. b. 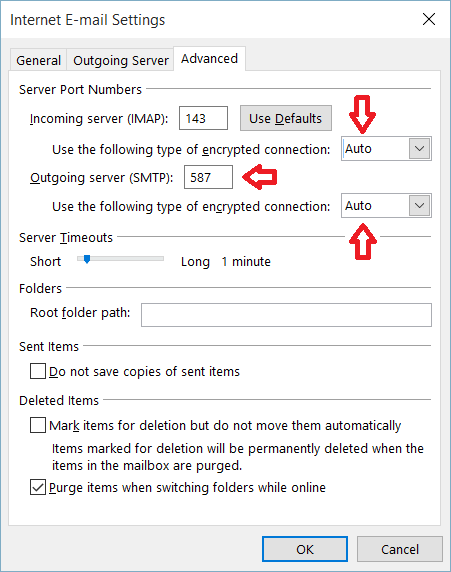 Select encryption to Auto for incoming and outgoing email. 7. 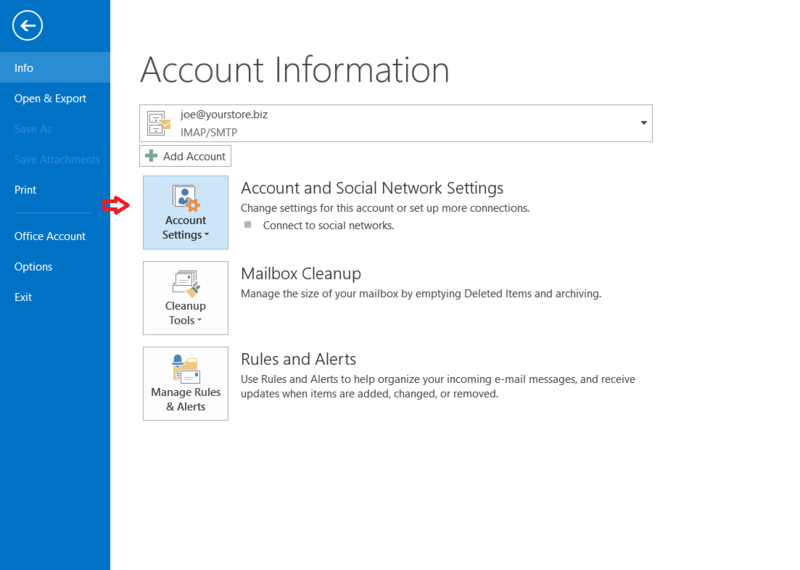 When you click Next, Outlook will text the account settings. It should show success on both.